Ideal for cutting steak, chicken, and pork, the Dexter Russell P46005 Basics® steak knife’s 43⁄4-inch, high-carbon steel blade will retain its serrated edge for a long time. The handle is made of comfortable, durable rosewod and provides a traditional feel. 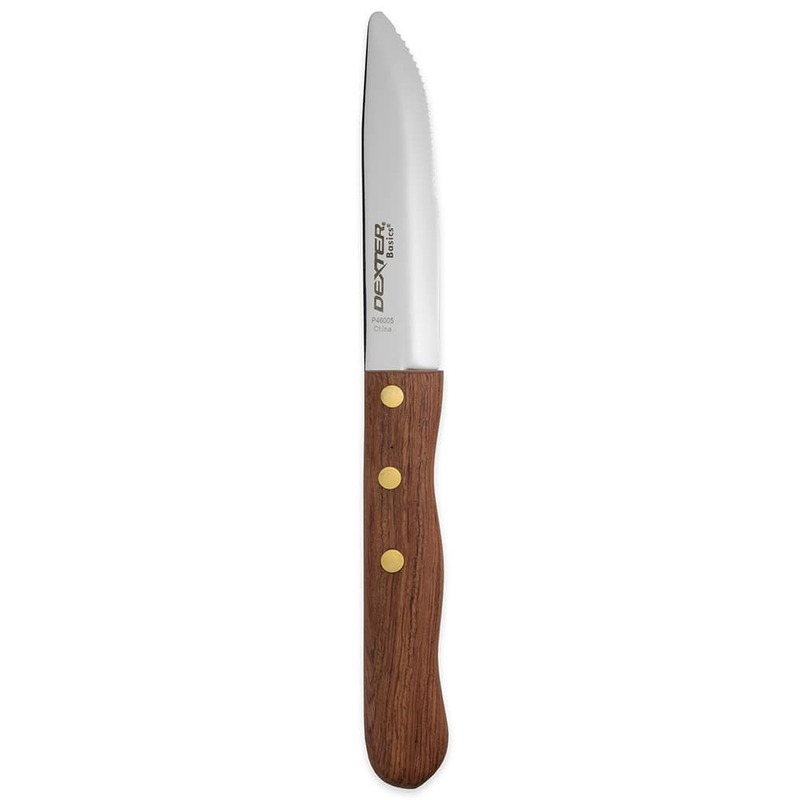 Read up on steak knives and other kitchen knives in our knives buyers' guide.